Behind suburbs and industrial estates hides “La Superba”, Genoa's shiny old town. Alongside Piazza de Ferrari are the Opera and the Doge's Palace. From there one enters the historic part of town. Especially worth seeing is the Romanesque church of San Lorenzo towards the harbor or the Via Garibaldi, an area abounding in the palaces of the rich Genoese, dating back to the 16th century. The largest among them, the Palazzo Doria Tursi, is today's town hall, where the urn containing Christopher Columbus' ashes is kept. During the 19th century European aristocracy appreciated this place as winter residence. Its climate – in the shelter of Monte Fasce – is particularly mild: At times temperatures can be up to 10°C warmer than in Genoa. Swanky mansions and the magnificent city park testify to its aristocratic past. Apart from a small tourist port exists a promenade along the quay wall, which was named after Anita Garibaldi. 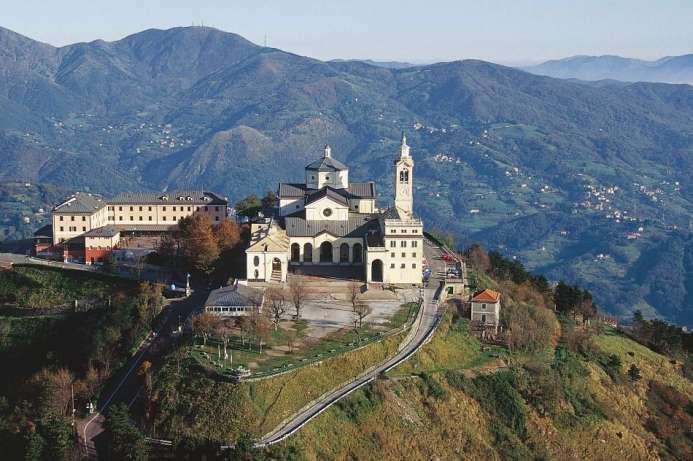 Built in the 16th century at the top of Monte Figogna (804 m), this is the most important Marian pilgrimage church in Liguria. Its location had been a strategically important lookout point in ancient times. 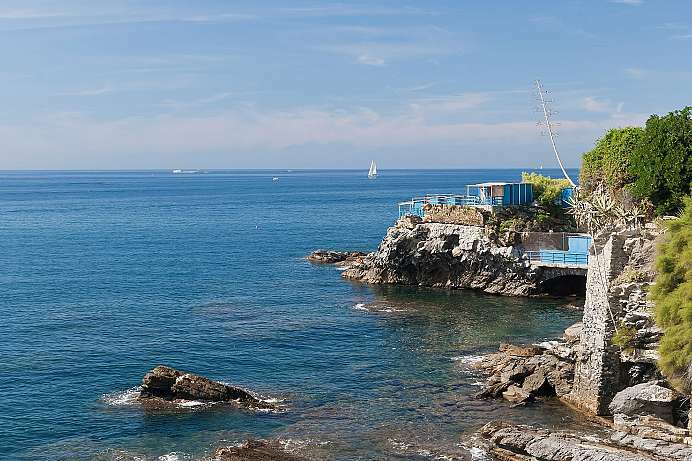 The church's porch offers a panoramic view of Genua and the coast of the Italian Riviera. On clear days you can see as far as Corsican and the Matterhorn.